Nigerian singer, Davido got tongues wagging on social media recently when he got a very expensive car gift for his girlfriend, Chioma. The gift was presented to her on her birthday and the ceremony got Nigerian ladies wanting to be his girlfriend. 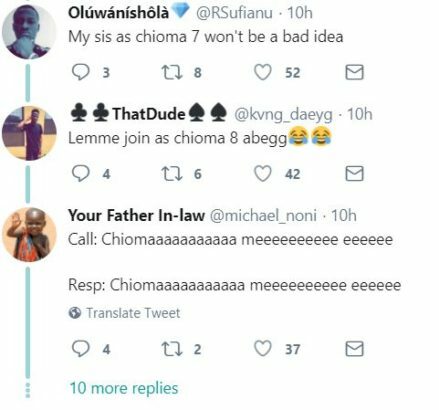 According to him, he has just gotten an endorsement offer worth N60 million for Chioma. He went on to reveal that he is asking the people making the offer to increase it to N100 million and then Chioma can consider it. Nigerian ladies on Twitter who saw the tweet went wild with many of them wishing they were Davido’s girlfriend. 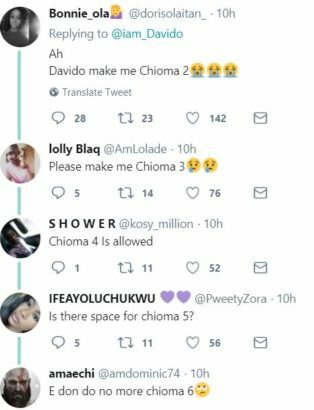 One of them began by asking Davido to make her Chioma number 2. Soon others also began to take numbers.